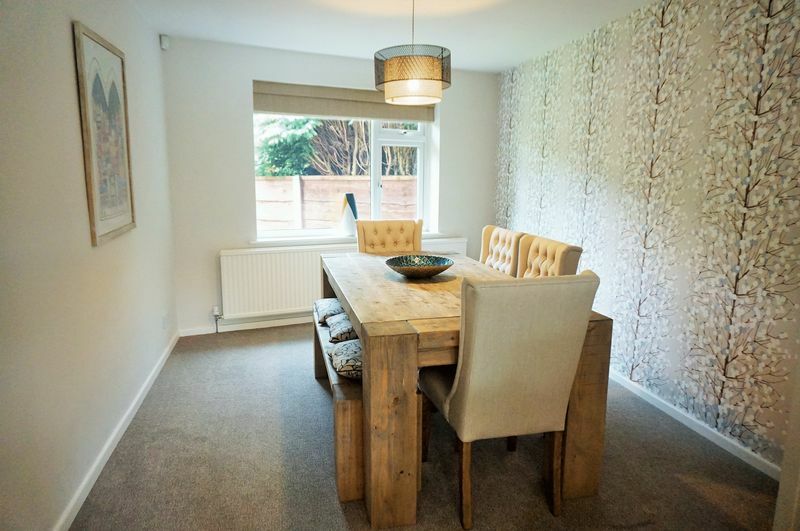 Looking for a beautiful family home? 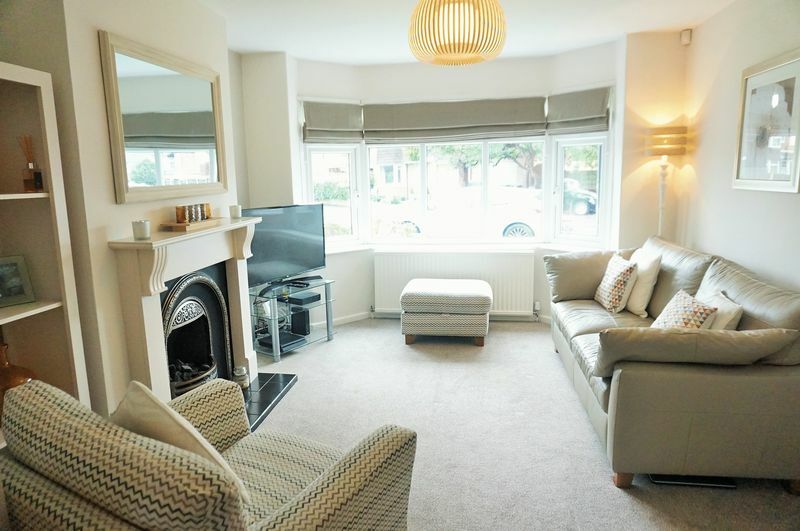 This well presented semi detached house has been improved to a high standard by the current owners and extended to create well proportioned accommodation making it ideal for a growing family. 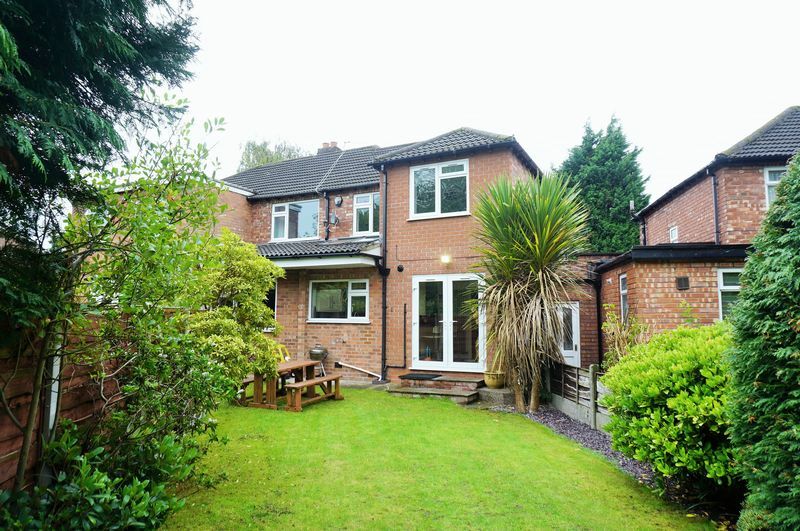 The property is situated on a desirable plot in a highly sought after location within walking distance to Cheadle Hulme Village that offers a range of shops, bars and restaurants, transport networks including the train station and catchment for schools. 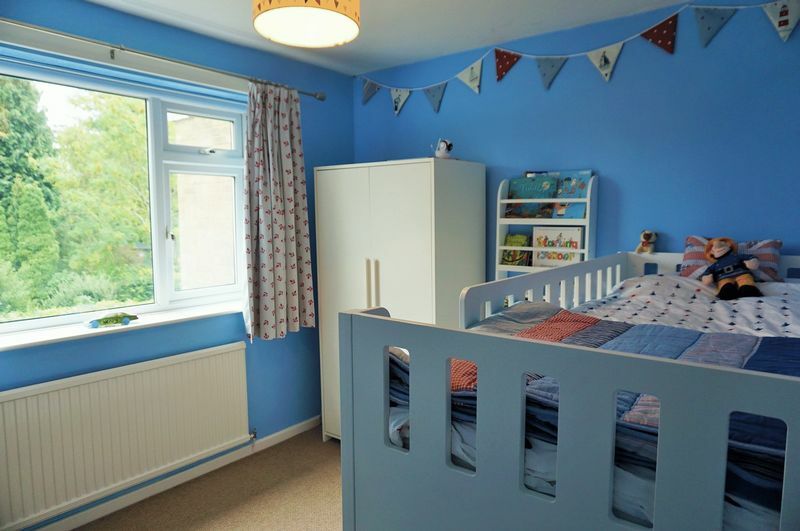 In brief the accommodation comprises entrance porch, hall, living room, dining room, playroom, good size breakfast kitchen, utility area and guest WC. 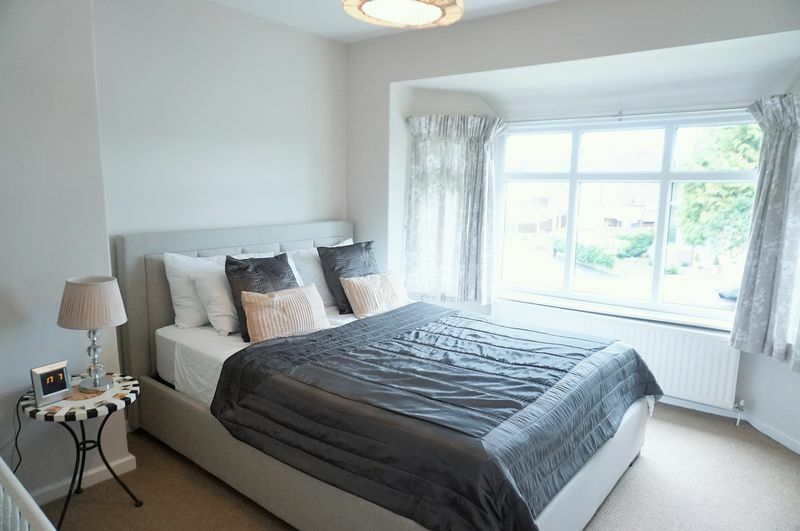 To the first floor are three double bedrooms, a brand new en-suite shower room to the master bedroom and fabulous dressing room plus a family bathroom. Externally the property boasts well maintained rear garden with private aspect and drive to the front providing off road parking. Book early for a viewing to avoid missing out on this superb property. 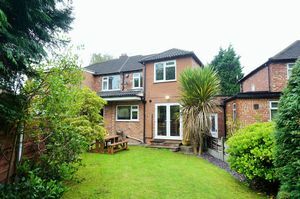 The house sits behind block paved drive providing off road parking. 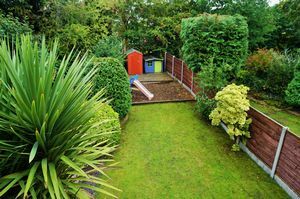 Lawned front garden with decorative flower beds and shrubs. Canopy porch with spot lights. 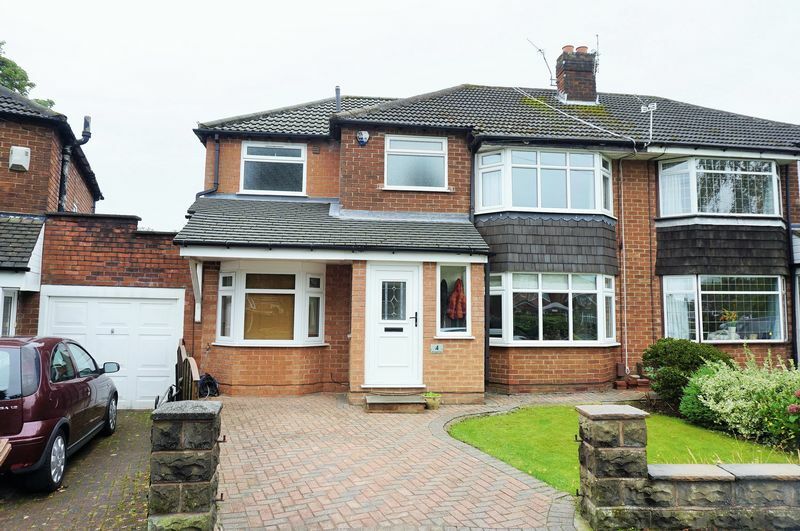 UPVC door and windows to the front and sides. Tiled floor and spotlights. UPVC door with side light, radiator, useful understairs storage cupboard and wood effect flooring. Bay window to the front, radiator and wood effect laminate flooring. 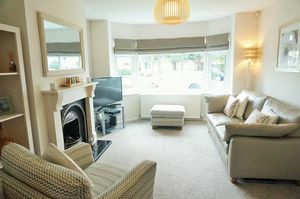 Bay window to the front, radiator and beautiful feature living flame effect gas fire with decorative surround. Archway through to the dining room. 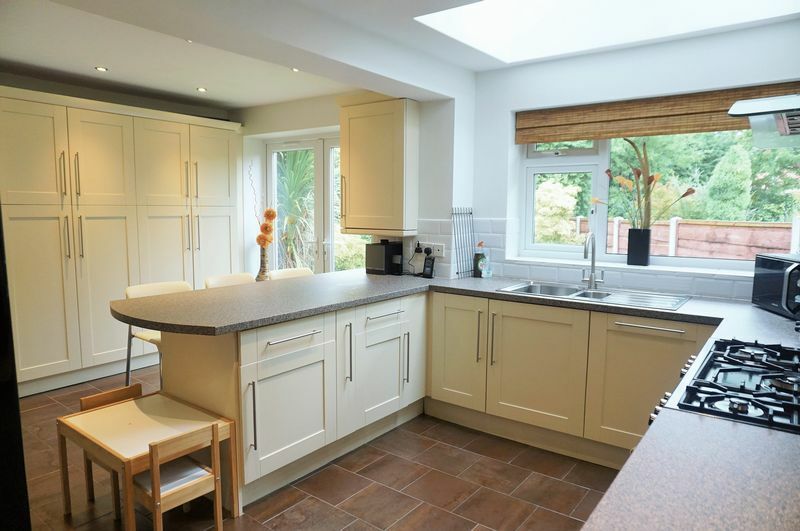 Stunning, bright and airy breakfast kitchen. 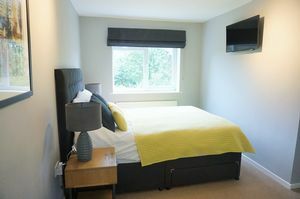 Fitted with wall cupboards, base units and drawers. Work surface housing stainless steel one and a half bowl sink unit and drainer with tiled splashbacks and tiled floor. Fitted dishwasher and space for range cooker and American fridge/freezer. Breakfast bar. Window to the rear, skylight, French Doors leading out to the rear garden and contemporary vertical chrome radiator. Plumbing area and storage shelves. 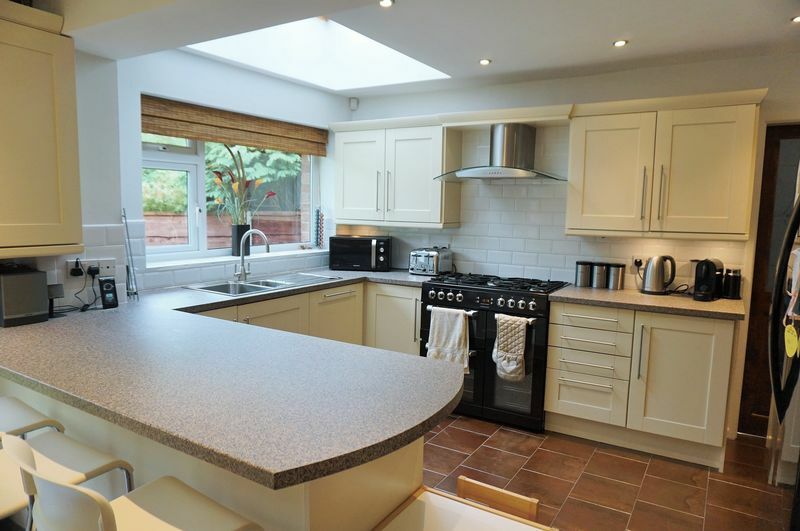 Tiled floor and extractor fan. 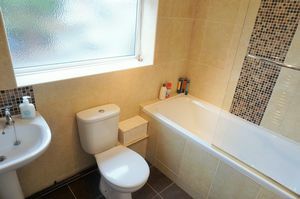 Fitted with WC and wall mounted wash hand basin. Tiled floor and extractor fan. Spindle banister and loft access. 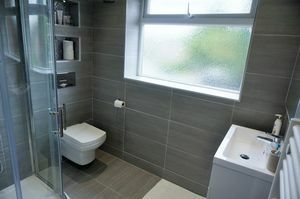 Brand new modern suite comprising WC, wash hand basin set in contemporary vanity unit and corner shower unit. 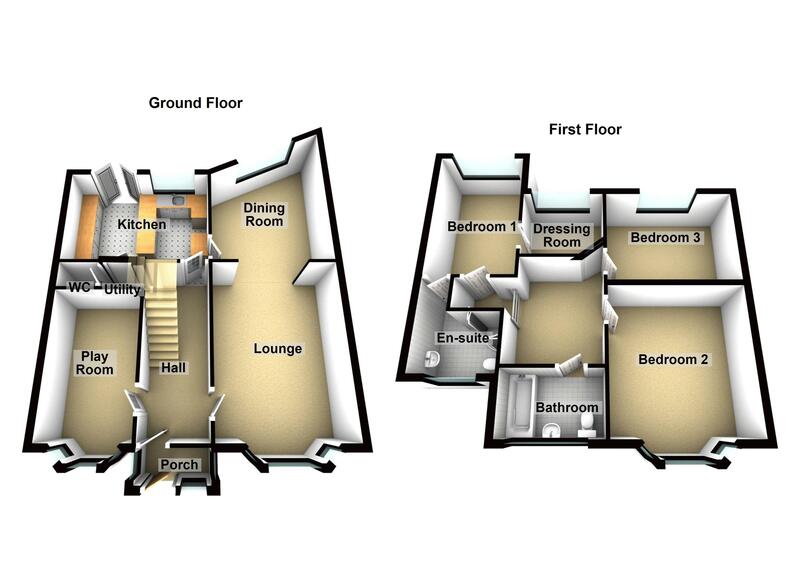 Fully tiled, tilled floor, heated towel rail, spot lights, extractor fan and obscure window to the front. Bay window to the front and radiator. Fitted with suite comprising WC, pedestal wash hand basin and bath with overhead shower and glass screen. Fully tiled, tiled flooring, chrome heated towel rail and obscure window to the front. 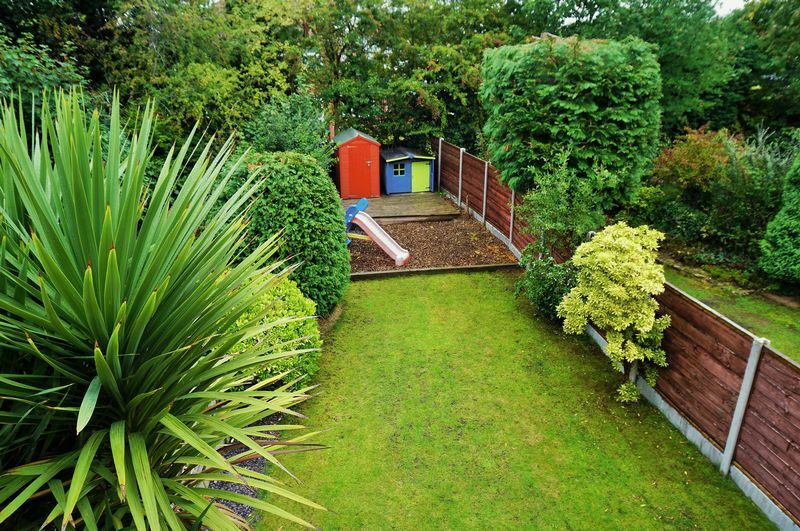 Well maintained garden with private aspect. 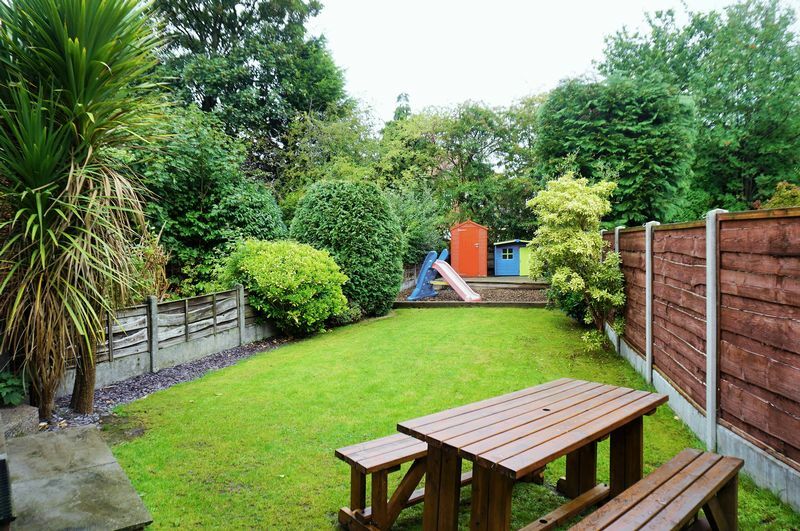 Mainly laid to lawn with decked sun terrace and bark area ideal for children's garden toys. 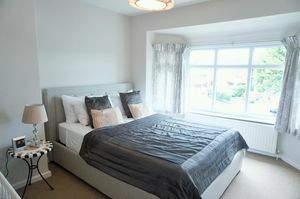 Enclosed with timber panel fencing, cold water tap and external lighting. Space for shed.